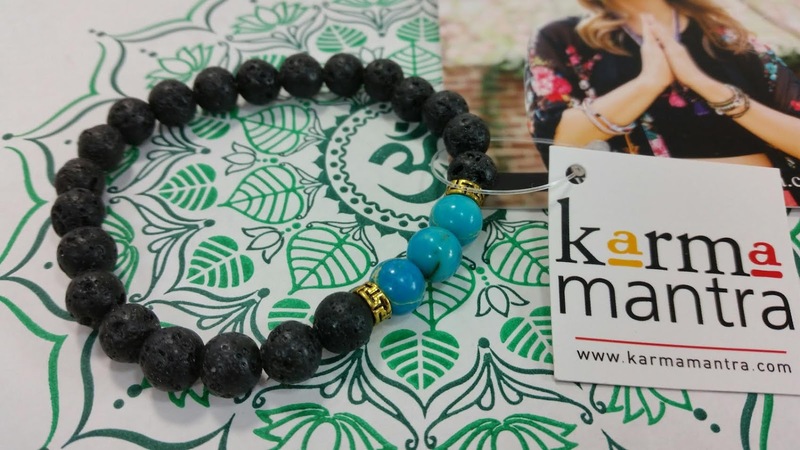 Karma Mantra Buddha Lava Bracelet- A single mala bracelet with lavastones. Lava signifies grounding qualities and aids in calming emotions and connection to the root chakra. 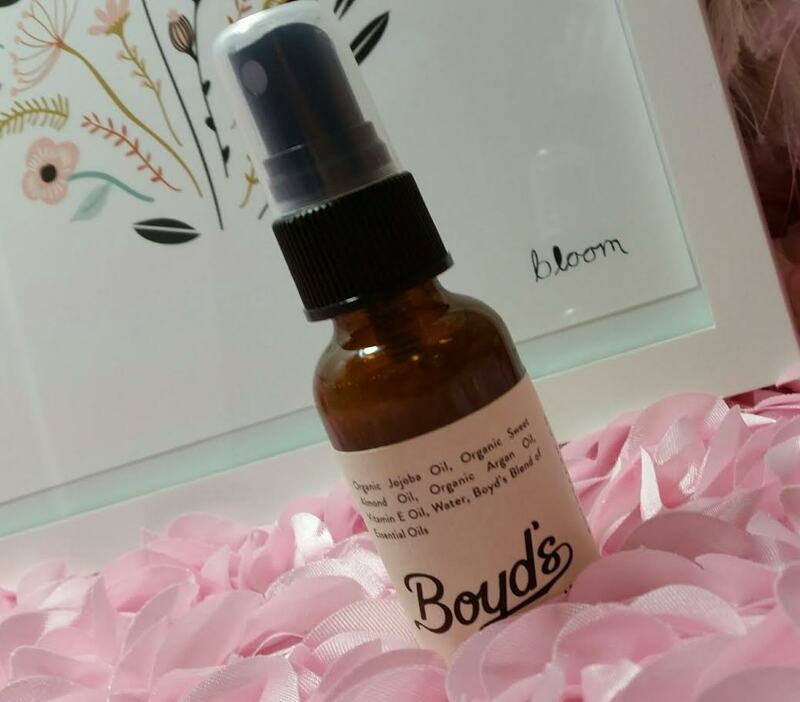 Boyd's Farm Refreshing Facial Mist- A vegan, non-toxic mist made with hydrating organic oils and essential oils. Mine is Lime! I do have to insert a note here. No matter how organic or amazing an essential oil is, it does not mean that it's good for you in all ways. If you have sensitive skin or rosacea, you will want to avoid spraying something like this on your skin. The lime, grapefruit and eucalyptus oils are skin irritants. So stick to the air around you or your body. 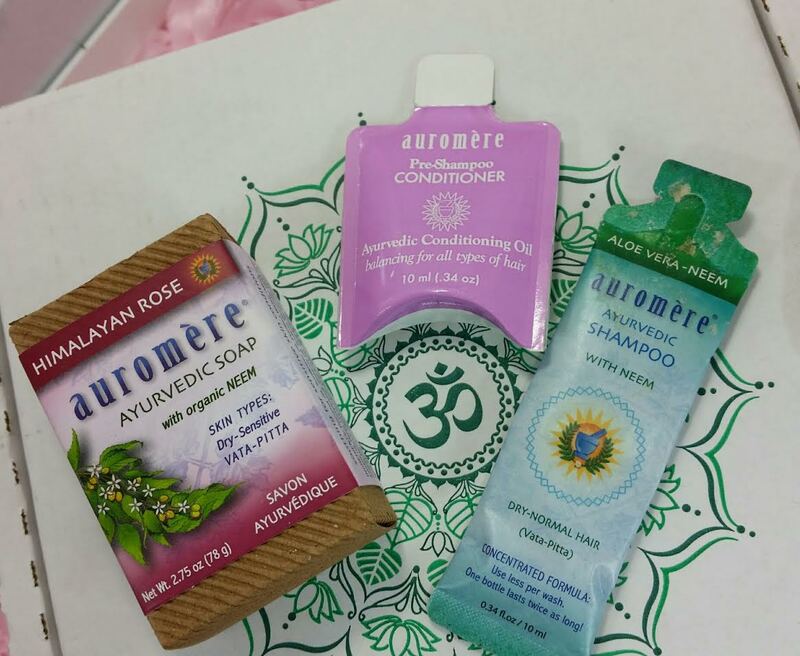 Auromere Rose Soap and Bonus Samples- And ayurvedic hand-crafted soap with a blend of Indian and Damascus roses combined with 15 Ayurveda herbal extracts. It smells wonderful! The bonus is a pre-shampoo conditioner with sesame oil, coconut oil plus a bunch of other things. I'll try it! The other is a shampoo with neem that seems to have leaked. Or it's got something on it. 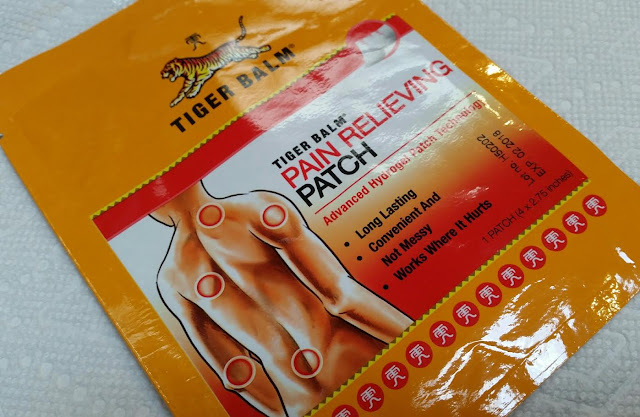 Tiger Balm Pain Relieving Patch- I've never tried Tiger Balm in any of it's forms and I was a little surprised to see something like this in the box. However, the reason is to help your poor tired muscles after you've done a new yoga session. I'm going to use this on my neck/shoulder. Tonight, probably. I don't do yoga but man, maybe I should because my tendons need some stretching! VERDICT: Buddhibox is definitely geared toward those with an intense interest in yoga and the surrounding knowledge and lifestyle. 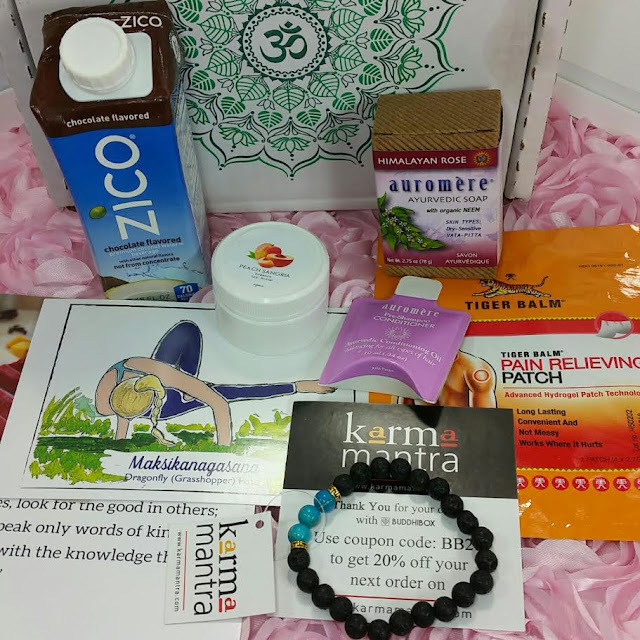 While I don't personally practice yoga in any form, this box consistently sends contents designed to encourage and uplift. This box is sent to me for review purposes and I try to be as objective as possible when reviewing it. It is not something I would normally subscribe to because of my allergy to lavender, even if I did practice yoga. 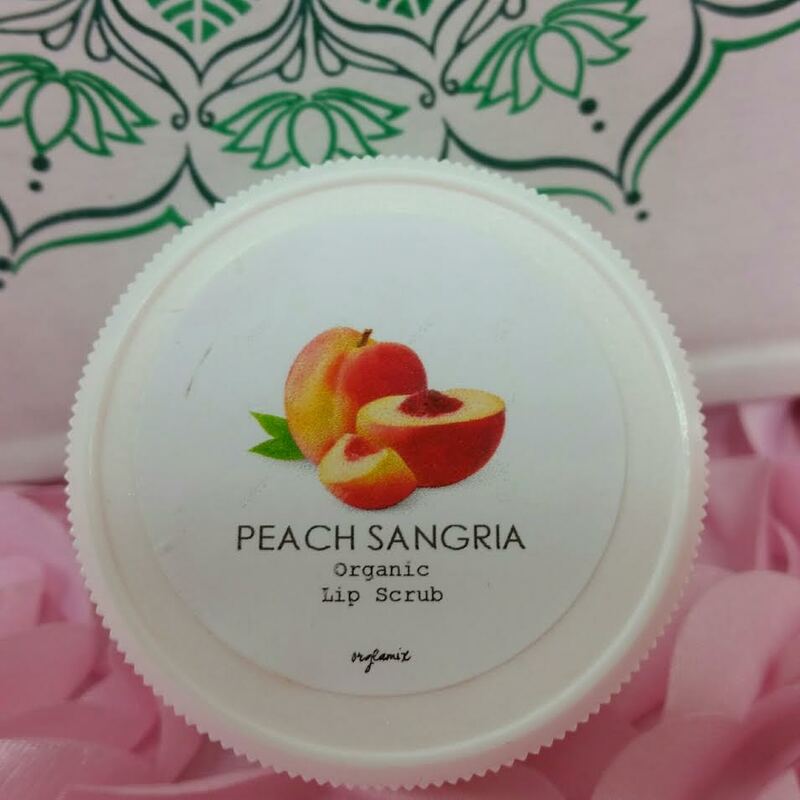 If you love getting aromatherapy of all kinds, you'll looove this box. Value-wise, there usually seems to be one big ticket item (in this case the bracelet) with at least four other products, one of which can be a sample. The retail value is always worth more than the box and if you're looking for a pick-me-up, this could be just what you're looking for. If you would like to sign up for Buddhibox, you can do that here. Besides the Yoga box they also have a Jewelry box, so you have choices! Use code YOGAEVERYDAY for 10% off your first box. 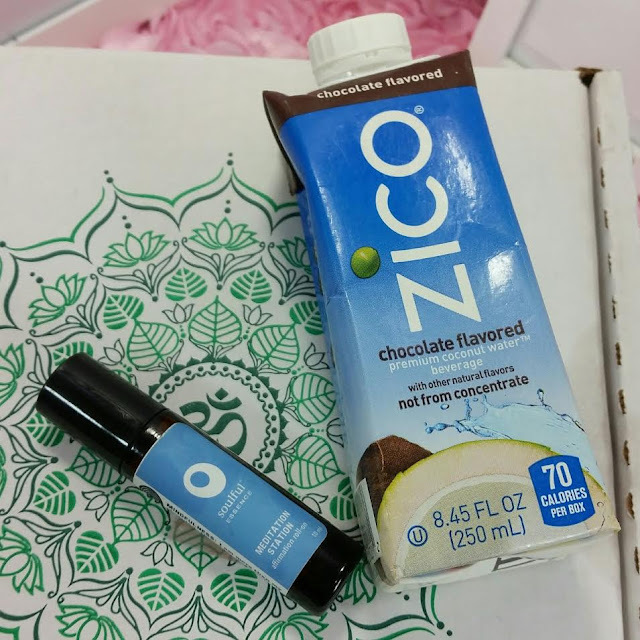 What do you think of yoga inspired boxes like this? Do you practice yoga and would you find this mood boosting?